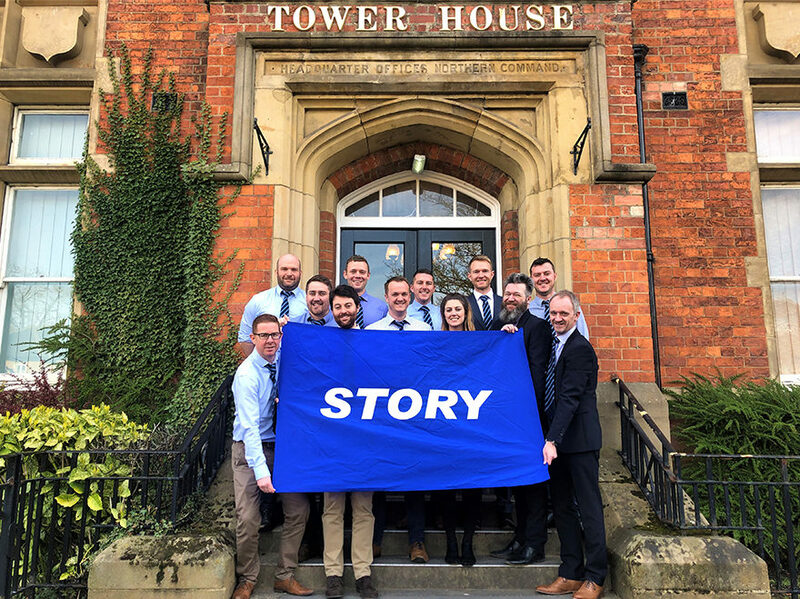 Award-winning civil engineering and infrastructure company Story Contracting is set for expansion in Yorkshire after opening a new office in York. The new regional office, which opened on the 1st April 2019, has been established to help the company’s rail division to deliver a Network Rail framework contract for one of England’s main rail routes. The hub will be home to the company’s Yorkshire team, who are currently busy laying important groundwork for a five-year framework contract worth up to £50m to carry out geotechnical work on the London North Eastern (LNE) route over Control Period 6 (CP6) – Network Rail’s programme of work to be completed between 2019 and 2024. The LNE route stretches from the capital city to Scotland and the projects will cover renewals work on embankments, cuttings, drainage and tunnel portals along the route. The company already has a regional office in Normanton, West Yorkshire as well as bases in Carlisle, Glasgow, Edinburgh, Chorley and Birmingham. Managing Director for Rail England, Ian Purdham, says the division’s expansion in Yorkshire comes as a major boost for the company and the region. He added: “Now we’ve got an office in York, it allows us to invest in the team and the region. We are looking forward to continuing our relationship with Network Rail and collaborating with them and the other successful framework contractors on the LNE route. The company is looking to employ in the region of 40 additional staff over the coming year and will create new strategic partnerships with the wider supply chain. The company has already started a recruitment drive and is keen to hear from experienced estimators, quantity surveyors and engineers. A number of team members have already taken the next step in their career thanks to the new opportunities created by the contract wins. Dan Jones, 33, has been promoted to Contracts Manager for the Yorkshire region. Having joined the company in 2014 from BAM Nuttall Ltd as a Project Agent, Dan will now head up the delivery of the recently won frameworks and continue to grow both the team and the work bank in the region. He said: “I’m lucky to work for a company that recognises and rewards hard work and invests generously in its people. I’m proud to be given this opportunity and am extremely excited for the challenge ahead. One team member already flourishing is Kimberley Middleton, Story Contracting’s first ever Graduate Engineer. Kimberley, 26, is the first graduate to complete the company’s three-year graduate scheme to become a Project Agent. In her new role she will manage the project planning for the LNE works and other major projects. She will also help mentor the two new graduates who will join the team in September 2019.